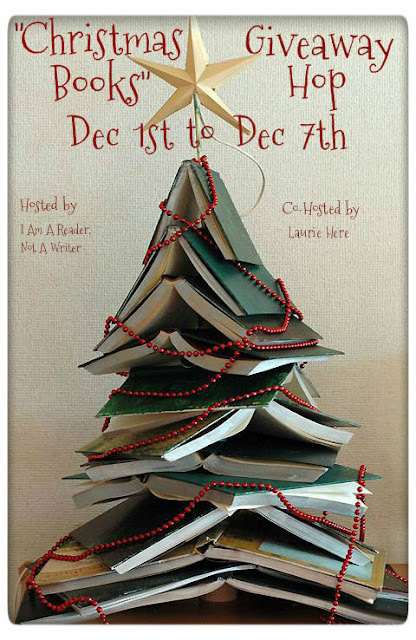 Laurie Here - Contemporary Fiction and MORE - Book Reviews: "Christmas Books Giveaway Hop!" 12-1 to 12-7-12 SIGN-UPS!!! "Christmas Books Giveaway Hop!" 12-1 to 12-7-12 SIGN-UPS!!! Thanks to Laurie for finding and creating the perfect image for this hop! This is a Christmas Books only hop. You must giveaway a Christmas book or allow the winner to pick a Christmas Book of their choice. You must feature a Christmas Book. Only 1 mandatory entry, all others must be optional. Only family friendly blogs and giveaways. To sign up to host a giveaway please add your blog to the linky with your shipping info in parenthesis following your blog name. If you forget I will assume you are shipping to the US only. Please email me if this is incorrect or if you have any questions.